A quick note—donations of ANY dollar amount are gratefully accepted! Clicking "Donate Now" or any of the suggested donation levels will take you to a page where you can change your donation amount manually or choose a specific reward level. Any donation at or above a reward level will get you the rewards for that level. Five years ago, I knew almost nothing about “early music,” baroque violins, or historically-informed performance practice (HIPP). 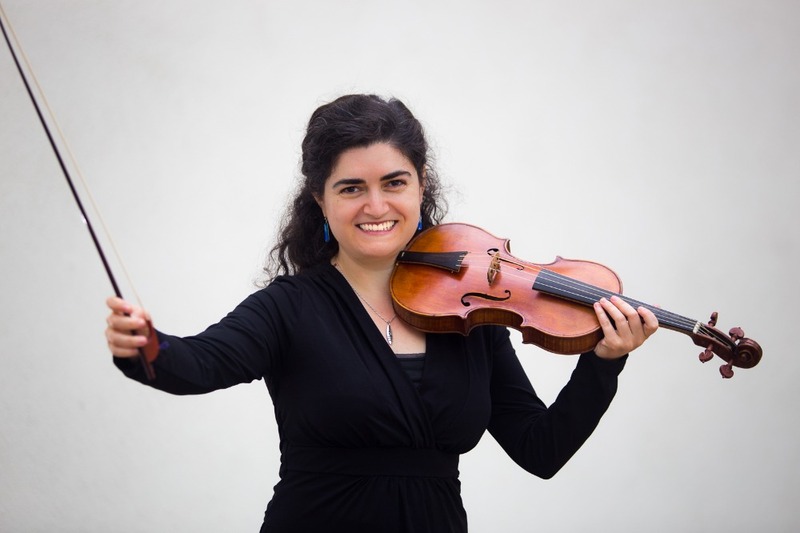 While pursuing a master’s degree in violin performance and Dalcroze Eurhythmics (somatic, experiential musicianship training), I stumbled upon this approach to music performance and found my musical home. If there ever were a calling for me, this is it! The analysis of it feeds my engineer brain, the emotional power nourishes my dramatic/theatrical side, and the warmth of the sound and deep link to human emotion and movement resonate with me at the deepest level. It is the greatest joy and intellectual pleasure I have found so far in exploring my career in music performance and teaching! You can help me pursue historical performance by contributing money to purchase a professional-quality baroque violin. As a baroque violinist, I use historically-accurate reproductions of violins and bows to play European classical music composed between 1500 and 1800 (...and sometimes folk/americana influenced by this music, see Lizzie and the Flakjackets). The way I perform this music is guided by the philosophy and writing of the time. Human experience, emotion, and physical movement (dance and gesture) are the basis for this music—universal ideas that transcend time and place to make baroque music timely, refreshing, and moving even today. I have been performing for the past two years with groups large and small, in churches and living rooms, to bring this music to life for familiar and new audiences. My audiences get to hear intimate chamber music close to the players, with a sound warmer than that produced by modern instruments. They experience the vitality and expressiveness in well-known and obscure works from this period when played with bows of the right shape and behavior. Voices and instruments come together, in dialogue and imitating each other: I get to make my notes sound like the human voice down to the consonants and the emotion of the text when playing with one or a whole opera-ful of singers. Coming face-to-face with refreshing, pleasant, intense, complex, and expressive baroque music is a relevant and badly-needed experience in the turmoil of our lives today. I want to continue to bring this music in front of new audiences in an accessible and welcoming way that honors the deep connection of the music with dance, movement, and the human experience. 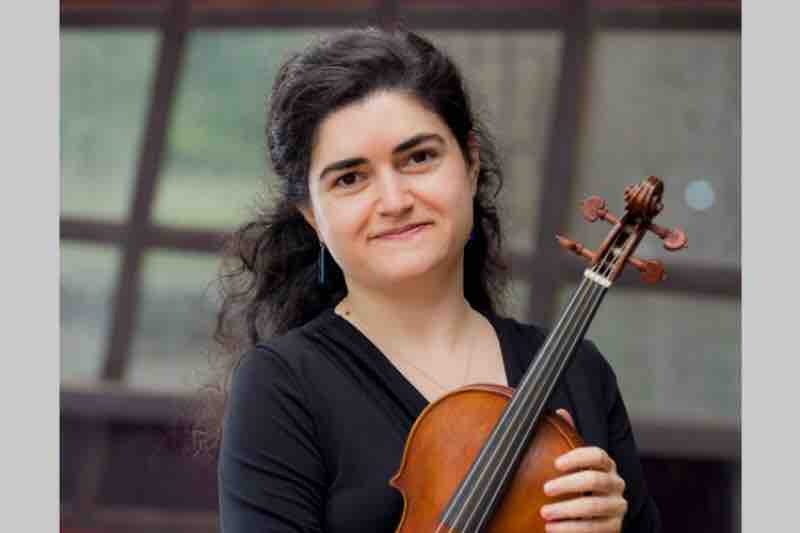 Baroque performance, in combination with my Dalcroze training, also deeply influences how I teach my violin and music students, helping them explore phrasing, affect, meter, rhythm, and dynamics with their whole bodies and connecting their music to experiences in their daily lives. This allows them to express themselves and share this (and other) music with their own audiences. This is how I want to take up my role in the world as healer and teacher through my music—through this music, through this energized and passionate performance approach. All of my performing in the past nine months has been made possible by the generous loan of a professional-quality baroque violin from Douglas Cox of Vermont. You can help me continue bringing passionate and compelling baroque music into the world by contributing funds toward the purchase of this beautiful instrument. I need this violin to make a place for myself as a performer professionally; the quality and artistry it will enable me to bring to my work are both an incredible inspiration, opening musical possibilities my teachers described but which my previous tools could not produce, and a prerequisite to ensuring I can continue to devote the time necessary to prepare performances of quality and continue developing each day as an artist. One of my teachers reflected how much her own violin, a beautiful antique by a famous maker, has taught her over her years of playing it. I feel that spark with this instrument, and with your help, I can embark on this journey. b) any donation at or above the amount listed in the level will get you the rewards for that level. Clicking either on "Donate Now" at the top or any of the Reward Levels takes you to a page where you can manually enter your desired dollar amoun. John and I had a wildly successful house concert at the end of January—thank you again to all who attended and shared your support! We have had huge delays in getting the special program book and concert video prepared... but, work is under way on both, the big roadblock for the videos has been resolved, and I am very much looking forward to sharing both with you! The video should be finished this week, and the special program book in March. 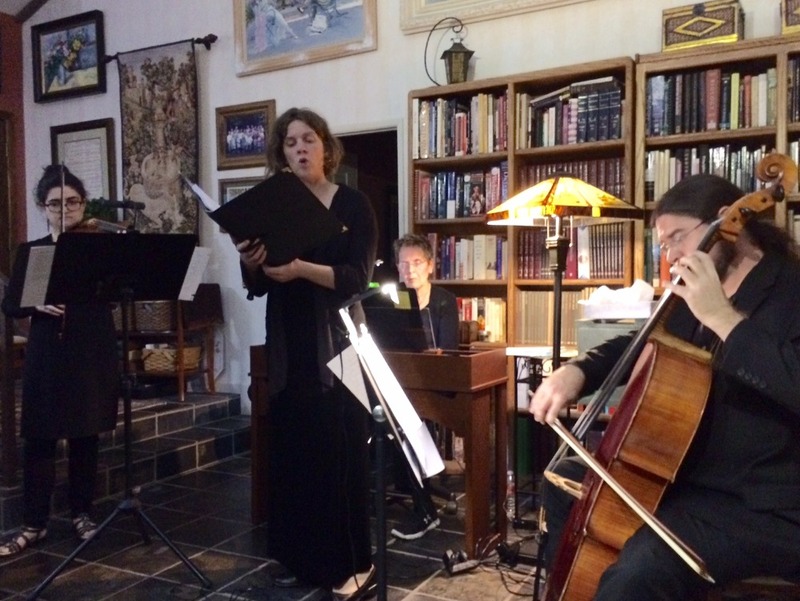 In the meantime, here is a video of the Castello sonata from our concert! THANK YOU so much to everyone who has contributed so far! I am very happy to announce that together, we have raised more than 10% of the total cost of the instrument! GoFundMe has recently changed their terms and is now NOT charging a fixed 5% fee on donations. When you donate, there will be an opportunity to leave a tip for them to support development of this tool if you wish. My deep gratitude! And your name (or Anonymous) listed in my next concert program. Name (or Anonymous) listed in my next concert program and a link to the live concert video from December 9th. Acknowledgement in my next concert program, concert video link from 12/9, and a special-edition program book with photos and in-depth program notes. Champion rewards, plus a link to a short making-of documentary of my December concert with Guts. Behind-the-scenes with baroque musicians! See our process.